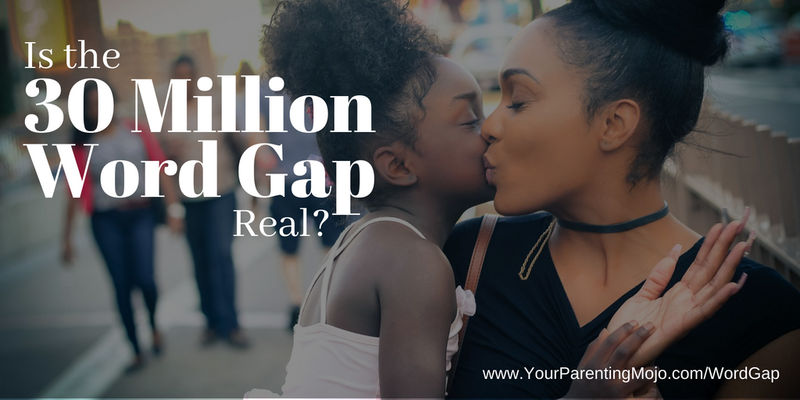 066: Is the 30 Million Word Gap real? You all know that on the show we pretty much steer clear of the clickbait articles that try to convince you that something is wrong with your child, in favor of getting a balanced view of the overall body of literature on a topic. This is one of those studies. We’ll learn about the original Hart & Risley study that identified the “30 Million Word Gap” that so much policy has been based on since then, and what are the holes in that research (e.g. did you know that SIX African American families on welfare in that study are used as proxies for all poor families in the U.S., only 25% of whom are African American?). Then, Dr. Doug Sperry will tell us about his research, which leads him to believe that overheard language can also make a meaningful contribution to children’s vocabulary development. I do want to be 100% clear on one point: Dr. Sperry says very clearly that he believes parents speaking with children is important for their development; just that overheard language can contribute as well. And this is not Dr. Sperry out on his own criticizing research that everyone else agrees with: if you’re interested, there are a host of other issues listed here. The overarching problem, of course, is that our school system is so inflexible that linguistic skills – even really incredible ones of the type we discussed in our recent episode on storytelling – have no place in the classroom if they don’t mesh with the way that White, middle-class families (and, by extension, teachers and students) communicate. But that will have to be an episode for another day. Adair, J. K., Colegrove, K. S-S., & McManus, M. E. (2017). How the word gap argument negatively impacts young children of Latinx Immigrants’ conceptualizations of learning. Harvard Educational Review, 87(3), 309-334. Akhtar, N., & Gernsbacher, M.A. (2007). Joint attention and vocabulary development: A critical look. Language and Linguistic Compass 1(3), 195-207. Callanan, M., & Waxman, S. (2013). Commentary on special section: Deficit or difference? Interpreting diverse developmental paths. Developmental Psychology 49(1), 80-83. Dennett, D. (1995). Darwin’s dangerous idea: Evolution and the meaning of life. New York, NY: Touchstone. Dudley-Marling, C., & Lucas, K. (2009). Pathologizing the language and culture of poor children. Language Arts 86(5), 362-370. Gee, J.P. (1985). The narrativization of experience in the oral style. Journal of Education 167(1), 9-57. Genishi, C., & Dyson, A. H. (2009). Children, language, and literacy: Diverse learners in diverse times. New York, NY: Teachers College Press. Hoff, E. (2013). Interpreting the early language trajectories of children from low-SES and language minority homes: Implications for closing achievement gaps. Developmental Psychology 49(1), 4-14. Johnson, E.J. (2015). Debunking the “language gap.” Journal for Multicultural Education 9(1), 42-50. Miller, P.J., & Sperry, D.E. (2012). Déjà vu: The continuing misrecognition of low-income children’s verbal abilities. In S.T. Fiske & H.R. Markus (Eds. ), Facing social class: How societal rank influences interaction (pp.109-130). New York, NY: Russell Sage Foundation. Walker, D., Greenwood, C., Hart, B., & Carta, J. (1994). Prediction of school outcomes based on early language production and socioeconomic factors. Child Development 65(2), 606-621. Jen: 00:38 Hello and welcome to today’s episode of the Your Parenting Mojo podcast. I think today we’re going to blow a few holes in some classic research. You might have heard of what’s known as the 30 Million Word Gap, which at a high level is the idea that middle class parents talk so much more to their young children on a daily basis than poor parents do, and that this accumulates a gap of 30 million words by the time the children are four years old. So I took a brief look at this study a while back and I noticed that the researchers, Professor Betty Hart of the University of Kansas and Professor Todd Risley at the University of Alaska Anchorage, conflated a couple of important variables in the study, those of wealth and education, which is why I haven’t done an episode on it and whenever anyone asks me about it, I mentioned that the study’s results might be a little bit shaky, but I owe a debt of gratitude to listener Kim from Boston who has a PhD in Curriculum and Instruction and who works to support African American boys and developing literacy for sending me a research paper that describes a replication of the incredibly time consuming study that professors, Hart and Risley did back in the seventies and which came to rather different conclusions. I’m here today with Dr Douglas Sperry, who is Associate Professor of Psychology at St Mary of the woods college in Indiana who coauthored this paper with his wife and colleague, Dr Linda Sperry of Indiana State University and also Dr Peggy Miller of the University of Illinois. It isn’t often that we take the time to dig so deeply into a single paper on this show, but the original study has become such a part of how we think about what it means to be a good parent, so I’m delighted that Dr Barry is here with us today to really dig into these results. Welcome Dr Berry. Dr. Sperry: 02:12 Thank you very much for having me. I appreciate very much the opportunity to talk with you and your listeners. Jen: 02:18 Thank you. So for those listeners who have sort of heard of the 30 Million Word Gap and they kind of know it’s important to talk with their children, but they might not really know what the study is, could you please describe the parameters of the original Hart and Risley Study? Dr. Sperry: 02:31 Yes. The original study was a longitudinal investigation of 42 families, and they were divided by social class. Six of the families were in a welfare group. Twenty three of the families were in a group that Hart and Risley ended up calling the working class group, although there is mention of 10 of those families being middle class and 13 being working true working class, but they ended up combining them and that another top 13 families and children who were in the so called professional group, they undertook this study after really a decade or more of work and the Kansas City area around the University of Kansas. Betty Hart in particular had been working in the Turner House Preschool, which is part of the Turner housing project in Kansas City and she also had some of her university students working and the laboratory preschool at the University of Kansas itself. The Turner Housing Project and it’s preschool, was well. The preschool was entirely African American…composed of African American children. Dr. Sperry: 03:42 Whereas the laboratory preschool at the University of Kansas had all children of professors, as is quite common. Anyway with her work at the Turner House Preschool. She noticed that the vocabulary of African American children in that preschool was lagging considerably behind that of the professor’s children at the laboratory preschool. And so in the late sixties and early seventies, she began a series of other interventions expressly aimed at teaching the African American children at the Turner House, more vocabulary, and she noticed that that was quite successful and I should say I neglected to say the first intervention was just to get them to talk more and be more comfortable talking and she got them to talk more, but she still noticed that the vocabulary itself was lacking in the same diversity that the professors’ children had. So they had several other interventions, one of which was, for example, taking the children on various field trips to museums, etc. And still nothing seemed to increase the actual diversity or complexity of the vocabulary, even though the children were talking more. And to quote their 1995 monograph, she writes, the professors’ children simply seemed to know more about everything. so that provided then the impetus for her to begin and for, for her and Todd Risley to begin their very elaborate longitudinal study. Jen: 05:07 Okay. So what they’re basically saying is that they’re trying to reach children in preschool with these interventions and that they’re seeing that maybe they have an effect in the short term, but in the longer term they get washed out. Right? Dr. Sperry: 05:17 Right. And their conclusion was that they had to start in the homes and so they wanted to see exactly what was going on then in these, these different homes. So they began this very lengthy, protracted data collection. It’s still kind of a monument in terms of the amount of data they collected. And I have often stressed when talking about this report that although we’re, I’m sure going to get a chance to dig into some of the problems with the study. I don’t want to just be entirely critical of the study either because it was, it was a very important work and it has obviously fueled a lot of new research and information. But like any study it happens in a context. And the context of this study was the late seventies and the methods that we used in our study weren’t really current then in language acquisition studies. And so those were some of the issues that we’ve taken issue with. Jen: 06:12 So what are some of the contexts, what are some of the things that you saw as as not being really just done then that you that are more current practice now that you were able to incorporate? Dr. Sperry: 06:23 Let me actually correct a little bit. Something I said. We are psychologists. All three of us consider ourselves to be psychologist, but we don’t use relatively typical psychological methods. Our methods from anthropological studies and from our paradigm that we work within is called language socialization and using those methods we adopt them more ethnographic approach to data collection. And this, this represents, I think the first major point of difference between our data collection process and that of Hart and Risley and every case for our five communities that we describe in our recent study, each set of recordings of the actual children and their families. We’re only be gone after extensive field work of probably a year or more working in the communities. So when my wife and I were working in Alabama, for example, for over a year, one or the other of us observed in preschools we taught and the community education center that was entirely African American. Dr. Sperry: 07:22 We tutored children in various school subjects and also in giving them piano lessons and we tried to locate ourselves within the community. That obviously was particularly critical, we felt for the reason that we are european american and we were trying to study African American children in that particular case, but in all cases for our research, we do not try to be a fly on the wall and that’s pretty much what Hart and Risley encourage their families to do. And I think that’s more consistent even with current purely psychological inquiries into language acquisition. Researchers are trying to not be part of the scene. Owing a debt to anthropology, we realize that there’s never a point in time where we’re not going to be part of the scene as long as we’re there, we’re going to be noticed as observers and people are going to be taking us into account and so we make every opportunity then to try to become welcome guests in the environs and one particular difference I think that that may have impacted is that, for example, in the Hart and Risley is case their research, their data collection assistants were asked to not speak unless spoken to and that I think by contrast when we’re in a data collection process, obviously we speak when spoken to, but we also might speak at other times that a regular friendly visitor to your house might speak. Jen: 09:40 Despite Hart and Risley’s claim that they essentially blended into the furniture, I think was the one of the phrases they used in one of their papers. Jen: 10:56 For sure. So how much of this data was collected and what kind of data do they analyze? Dr. Sperry: 11:03 In both cases, both their study and our study, we collected videotaping recordings, although probably for us it was easier because of the size of the machines involved in the seventies. They collected for the 42 children, 25 samples on average per child. So they began their data collection and when the children were 12 months of age and they concluded when they were 36 months and they had a total of 1,318 samples. Our data collection was not that extensive. We analyzed 150, seven and a half hours, I should say. They had 1318 hour-long samples. We have various ages, various amounts of sampling, for example, all of our communities were sampled longitudinally, but we analyzed 157 and a half hours total. Our communities…well, this is what’s called the corporate study. What we did, we did not set out to collect these data expressly to do a study that we just published. Dr. Sperry: 12:03 In fact most of the data were collected for our interest in the narrative development of young children. So the South Baltimore children were about 18 or 19 months when their data collection began. Both our Black Belt, Alabama group and the Jefferson Indiana group, were 24 months… The children are 24 months when the data collection began. And Then the two Chicago groups, Longwood and Daley Park, those children were two and a half years, 30 months when data collection began. So there are some differences in terms of the age range of the children. We again, won’t be able to analyze Hart and Risley’s data to, for example, look at just the amount of talkativeness of the parents from 24 months on, which would be the most direct comparison with our data, but there is research that demonstrates that the average talkativeness of parents doesn’t really change much over the early language acquisition years. Dr. Sperry: 13:01 So we’ve relied upon that, make our comparisons. Jen: 13:05 OK. And so when the data is being analyzed, what kinds of things are you looking for? Dr. Sperry: 13:10 Well, literally we’re just counting words. Jen: 13:13 And who is speaking to whom as well? Dr. Sperry: 13:14 Yes, but that really gets to the…sort of the main issue about what we’re comparing. Hart and Risley can be really frustratingly non-informative. In their monograph about what exactly they counted and I have read and reread and it’s difficult to know exactly who was speaking and even sometimes if they’re counting the words of multiple caregivers. It’s always been assumed by reports on Hart and Risley after that that they were just counting maternal speech, which is the most common measure in child language acquisition and the psychological tradition. It’s not clear that that’s the case and I suspect that it may not have been always, but we’ve just assumed that they were counting the speech of one caregiver because that’s what the typical assumption is. Dr. Sperry: 14:07 So when we set out to do our work well, my colleague and mentor, Peggy Miller’s South Baltimore data were collected way back and then seventies, basically about the same time as Hart and Risley and then our work has been later, but we’ve been entrenched in dada and verbatim transcripts of those data for 40 years between the three of us and when we talked about Hart and Risley and we talked about the word gap and we remembered our transcripts, it just didn’t make sense to us that the children and the families that we had studied had heard so few words and so we just started counting and we counted in several different ways…and of course this isn’t without a lot of computer assistance, but we ended up deciding that we would count three different conditions or three different definitions of the verbal environment and all three are analyzed in our paper. Dr. Sperry: 15:04 The first is just what we call the primary caregiver to the child and that’s the definition or the condition that is the most similar to what Hart and Risley did and also provides the most direct comparison to most of the psychological research on this topic, but well I should mention first of all, that term primary caregiver. Many of our children were being cared for throughout the day extensively by grandparents in particular, so rather than muddy the issue by saying mothers and grandmothers or something like that, we just determine primary caregiver. Our second definition of that verbal environment then derived again from our extensive exposure with impoverished and working class families where we noticed that so often those children are engaged in rich verbal interactions with many, many people at the same time throughout the day and unlike what we might consider a typical upper class or professional family where mom or in my case dad stayed home with my children and after I picked my children up from school, I was alone with them until my wife came home and I was the only conversant they had unless they chose to talk with each other and they’re six years apart, so if that didn’t happen a lot, but unlike that model, the families that we studied, you know, would have cousins and aunts and uncles and older siblings and younger siblings and they were having rich conversations with a very extended family and so we added a second condition to our study which was other talk to the child. So this is again talk that’s directly addressed to our focal child, but in this case by other family members. So the first condition to release pete was just a the primary caregiver to the child. And then the second condition was all other family members to the child. And then because of our interest in the anthropological literature and in particular the rich literature on other world communities on the importance of observational learning and bystander learning, we decided to include a third definition which was overheard speech or bystander speech. Dr. Sperry: 17:21 It can be called either term. And that was speech that was spoken not directly to the child but from one person around the child to another person. So maybe one sister or brother is talking to another sister or brother or mom is talking to the sister or brother. This is in the earshot of the focal child. And so possibly the focal child is listening or not. So those last two conditions, again, are not things that Hart and Risley or frankly other psychologists have measured up to this point in time, but that we think – orat least hope, you know, give some richness to our study. Jen: 17:56 Okay. And so just to side track on that a little bit because I think this is a really critical issue on the idea of joint attention and the model that’s proposed by researchers who want to improve academic outcomes of poor children is the idea of joint attention and that being really critical to supporting development of children’s vocabulary. And that’s the idea that the parent and the child focus together on an object. And a lot of researchers are actually pretty explicit in saying that this object should be something that the child finds interesting rather than the parent. But it reminds me of a quote that I read in the course of doing this research saying “there’s no such thing as philosophy free science. There’s only science who’s philosophical baggage is taken on board without examination.” And so what I’m hearing when I’m hearing you describe this research is this is a very white centered, a white middle class centered view of how to raise children. Jen: 19:03 But if we just do this research, the science will tell us the answer. And in fact there are a whole bunch of judgments that are, that go into the back end of the science and that really impact what comes out the front. Jen: 19:17 So and, and specifically on that issue about joint attention, you know, you talk about, you make the case in your paper that joined attention isn’t as critical to language learning as a lot of other psychologists argue. But when I was reading through your references, I saw that you were quoting studies of people like the Mayans in Guatemala where learning is done through observation rather rather than through teaching. And you cite studies where children can learn new words without joint attention, but other professors are really adamant about this idea that joined attention is the best way – the key factor in how children learn language. So can you help us to tease out what’s going on here? Dr. Sperry: 19:59 Yes, and it’s a very complicated subject. I you described joint attention very well and it’s the the typical European American middle class and upper class model of if you, if your listeners think of the amount of time, I’m sure that they have held their, their infant or toddler close to their chest and we always hold our infants with their stomach or their chest touching our chest and we – as soon as they can support their head, we, you know, obviously they’re allowed to turn their head and they can look at everything, but the idea is that they can return back and we can have this face to face, very close interaction and joint attention is the idea that you know, that’s the crux of language development is that you form a tertiary reaction between the caregiver and the end fund and then a third object or event that the infant then can look at and hopefully be close to the gaze pattern of the adult that’s talking about it. Dr. Sperry: 21:04 Now, as you said so well, that is an anomalous pattern in the world contexts. That’s in fact, that’s probably what it is. In fact that the pivotal study in language socialization by Oaks and Shefflin, in ’84 was specifically addressing how joint attention it is not the way that in that case Samoans – families in Papua New Guinea were teaching their children language and since that pivotal study, there have been countless studies that have shown that on the world stage most families do not spend a great deal of time talking to their children in the model of joint attention. So a lot of the language that children are hearing is in an overheard context. Now, I would like to clarify I think that are really is that we don’t think that joint attention is necessary for language learning. That statement might be slightly different than saying it’s not critical. Dr. Sperry: 22:00 It depends upon, I suppose one’s perspective and I think some of the discussion that’s emerging I think is possibly well placed in that it’s possible we don’t know yet whether or not joint attention – and joint attention, let me say, does seem to be so far, the research suggests that it’s possibly a slightly more efficient way to learn. Initial reference was particularly in the early years, and that’s the point I hope to return to remind me if I forget it, the difference between the early years in the later years because early on when children are first getting their very first words, one of the signature problems is how do they establish reference, how do they know that if I’m pointing in the distance and I say, oh look, there’s a bird and I see the bird in a tree across the field, how do they know that I’m referring to the bird and not the tree or the field or the cow. Dr. Sperry: 22:54 Or you can tell I’m in the Midwest. Dr. Sperry: 23:00 But so that problem of reference early reference is the signature problem. It’s not the same problem; it’s not the same issue that children have when they’re two and three and they have entered language and they don’t have to establish reference anymore. Something I like to say is that, well, our critics have very strongly said that overheard speech is not, does not support language learning at all. And I think that’s much too strong of a contention. I think the jury is out right now as to the degree. The studies you mentioned there are several very, very fine experimental laboratory studies that have shown definitively that children can learn through overheard speech; they can learn vocabulary, they can learn syntactic structures so we know they can learn now. There are so far, at least to my knowledge, no quasi-experimental or naturalistic studies that have demonstrated that children are learning from overheard speech. Dr. Sperry: 24:29 Exactly, but in the research world it’s just the blink of an eye and especially depending upon how much attention is given to a particular topic. I think the jury’s out, as I said, and that we still need to be exploring it and that’s what we set out to do. Now we’re still exploring the topic and doing other analyses so we will have more to say, but intuitively I would like to say that what parent hasn’t at some point or another said an unfortunate word to have their child repeats that word later at church. Jen: 25:05 My daughter has not yet said the F-bomb. I just want to acknowledge that. She’s almost four. Dr. Sperry: 25:13 So perhaps you’ve avoided it very carefully. Nevertheless, children by the time they get to school age, certainly they’re listening in to all of their friends. They are monitoring the conversations that are going on around them. So to just flat out say that overheard speech doesn’t support language learning I think is fraught with problems. However, I’d like to come back to that age thing. We just simply don’t know yet. I think it’s possible that number one overheard speech isn’t as efficient and perhaps the specifically in our technological, you know, highly technological society. It may be important to not stress overheard speech. I could, I would concede that as much as directed or joint attention speech, I think also we need to remember these age differences in terms of what I, what I was talking about, the problem of reference. Joint attention may not be as critical in the later years say the two and a half to five years of age children as it is in those early years of reference when children really don’t know what the interlock is you’re talking about and they have very few clues and the clues are very confusing and enigmatic. You can imagine pointing off into the distance somewhere. So it’s possible. I think that joint attention is more critical than overheard speech in those early years. And I personally wouldn’t be surprised if that’s how it ends up panning out. Jen: 26:46 Okay. Alright. So I just wanted to respond to a statement then that your, your critics have put out in a blog post on the Brookings Institutions website. Dr. Roberta Golinkoff and Dr. Erika Hoff – who have both been interviewed on this show on different topics actually – along with a couple of their colleagues. And I just want to quote the end of their conclusion. It says that “the new paper by Sperry and colleagues is already being used to fuel a discussion that the socioeconomic status related word gap has been greatly exaggerated. This is a shame. While Sperry and colleagues correctly argue that we need to learn more about how children from all backgrounds learn and develop, that argument should not and must not undercut the significance of what we know about child development. Young children do not profit from overheard speech about topics of interest to adults. Public programs and intervention efforts should continue to encourage caregivers and teachers to talk with the young children about child friendly topics.” So it seems as though that is that statement is a blanket overarching statement that doesn’t take age into account and perhaps it should, and your contention is yes, joint attention is very valid, especially in early years, and parents should engage their children on topics that are of interest to them, but that overheard speech can also play a role in language development. Is that an accurate summary of your position? Dr. Sperry: 28:02 Yes, yes, exactly, and to add to that, I think that their position inadvertently adopts a somewhat deficit approach, especially to families that are extended and families with multiple siblings. It seems unfair to me to make mothers feel mothers who have maybe four or five children or who maybe are challenged with taking care of their children and their sisters’ or brothers’ children or other neighborhood children and situations like that. You’re not Able to talk to just one child. You’re talking to multiple children at one time sometimes if you’re giving him directions, you’re talking to each child and to suggest that everyone’s even going to have the time in their day to be able to talk as much as a mother or father living at home in a professional family, I think just inadvertently tips us over to the deficit perspective. Yeah, I would like to say though counter their Brookings Institution blog post and that they don’t really reference our other two conditions. Dr. Sperry: 29:06 So two thirds of the paper they seem to ignore for their discussion of overheard speech. And I sort of understand why they did that because overheard speech is such a new topic, we possibly spend a little bit more time discussing it in the discussion than we did the other points, but I’d like to just call forth another, but I think is an equally, if not more important result than they overheard speech which comes from our first condition, which is exactly joint attention, speech or speech directed from the primary caregiver to the child and our critics haven’t mentioned this result yet, which I find somewhat strange, but our Alabama children, that was one of our rural communities and it was very impoverished. Over half of the families were living in housing projects in that region and they all were living under the poverty line. Anyway. Those children heard in directed speech from their primary caregivers, 1,838 words per hour. That almost reached up to what the Kansas City professionals from the Hart and Risley study, those children heard 2,153 words. Dr. Sperry: 30:15 So we have a sample that’s entirely African American impoverished families with their children. And a sample that is 12 out of 13 European American families with an average of 18 years of education and some of those fathers had 24 years of education. I’m signaling that they must’ve had a PhD, and yet the words for the Alabama kids or 1,838, and the Kansas City professionals, 2,153. Now compare those numbers with the sample that’s most demographically similar to our Alabama Black Belt children, which is the Kansas City welfare group. And those children only heard 616 words per hour. Which brings us back to earlier in our conversation when we questioned, you know what most those mothers, what must their feelings have been during this research collection? So our Alabama African American children living in poverty heard almost three times the number of words directed to them in joint attention speech from their primary care givers, as did the Kansas City welfare children; almost as much as the Kansas City professional children. Our other impoverished community, the South Baltimore community heard over a thousand words. Dr. Sperry: 31:30 So about a 1.6 to 1.7 increase in the number of words per hour as the Kansas City, we feel very strongly that both of our communities that were composed of impoverished families and their children really unsettled and perhaps even upend the Hart and Risley results. Of course we think that it’s our methodology that by making the families comfortable to talk around us that makes the difference there, that they would be more likely than to talk, but nevertheless I really wanted to point out that that omission and the blog that Golinkoff and her colleagues put down, but then to more expressly address some of the inferences in her statement. We are not opposed to all interventions that address vocabulary. So I was on another interview when I was very strangely asked, I thought, did we oppose parents talking to their children at all? Dr. Sperry: 32:32 Absolutely not. No. Of course parents should talk to their children. Parents should talk to their children as much as as possible. What we’re opposed to our interventions that seek to change how parents and family it’s construct their culturally-defined ways of talking and using language, so for example, our 40 years of research on narrative practices show that the narrative style and the narrative amount of narrative and the complexity of narratives that our working class and poor children tell is actually more complex than our middle class sample and there are multiple reasons for that that we probably can’t get into right now, but the point is is that all children bring strengths to the table, from their language use at home, and what we’re opposed to or interventions that go in single-handedly and try to change one aspect of language practice without realizing that that might set off a domino effect and you might change other aspects of home language use that then put those children at a disadvantage because they’re not hearing the rich narratives that their parents tell around them or something to that effect. Dr. Sperry: 33:51 So we did not undertake our study to undermine efforts to increase children’s vocabulary. We would love to increase children’s vocabulary. We just don’t think that necessarily the best way is to go in and tell parents to change their practices. Now I don’t mean to say that if a person is attending a basic parenting class and they’re told, talk as much to your children as you can, of course that’s wonderful, you know, talk as much to your child as you can, but we’re talking about interventions that such as the one in Providence, Rhode Island where we’re giving families a various cultural backgrounds a recording device that records the number of words that they say to their children within about five feet range, looking directly at the child so it would not, for example, record clearly something that you’d say behind or to the side of your child. Now, those sorts of interventions we think are probably misplaced and we worry that as I said, they might set off a domino effect of changing the entire style of language that parents use from other cultures and European American middle class culture. Jen: 35:05 Yeah. Okay. So you bring up a host of ideas here related to class and culture, and you mentioned at the very beginning of the show, the fact that the hart and risley study was based on previous work that those researchers did in preschool where the poor children were compared with the children who were in the university’s daycare where those children were all white and you don’t have to look that deep below the surface of the paper to see the authors’ approval for how the professors were wearing their children and the idea that if the poor parents would only raise their children a bit more like the professors did, then the poor children would have vocabularies the same size as those are the rich children and then academic success would surely follow. And so we may like to think of those ideas as quaint holdovers from the seventies. Jen: 35:48 But it’s still very true today. That the values and the assumptions that the dominant culture holds by which we usually mean the parents and the teachers and the doctors and the policymakers, and even the researchers I hesitate to add are often very different from those of the people or the groups that we want to educate or treat and so we sort of hold up the science as this value neutral tool, but actually the Hart and Risley study and all studies are based on these values and assumptions that are held by the people who who do them, which is people from the dominant culture. So how do we get around this? How do we address this issue? Dr. Sperry: 36:25 Oh, that’s such a good question and I’d like to say the first thing that we really need to, I believe, and this is just kind of a personal salvo, is to stop blaming everyone and stop trying…you know, there’s a marvelous paper that was published last year in harvard educational review by Jennifer Adair from the University of Texas and her colleagues and she actually describes the word gap and the damage that she viewed that it had done and the Texas schools where she observed and collected ethnographic data. These were schools populated almost entirely if not entirely by Latinx children and most of the Latinx children entered bilingual as do most…they were all, I believe either first gen. I think they were all first generation immigrants. Don’t quote me on that. Anyway, they all entered school bilingual. They all entered school with relatively similar, relatively low levels of English only vocabulary and yet some of the children were placed in a type of classroom that is frequently seen an upper income European American schools and Adair clals this an “agentive” classroom where children get to be their own agents in what they choose to do or not to do during the day. And so these classrooms contrast quite sharply with more traditional classrooms where children are instructed to sit and be still and work and be quiet and don’t help your neighbor or don’t bother your neighbor, raise your hand for everything, etc. To cut to the chase, by the time the children were in fourth grade, those Latinx children who had scored similarly in kindergarten, but were in the agentive classrooms, were were scoring in the 80th percentile and above on the Texas tandardized assessment test, whereas the children who were in the traditional classrooms, we’re still lagging very far behind. Interesting…this study is so rich that Jen Adair did. She showed videos of the agenda of classroom interaction to other Latinx children who were in traditional classrooms, two teachers who are teaching traditional classrooms to administrators and to almost to a 100 percent ratio, the teachers of the non agenda for the traditional classroom said, oh well that looks like it would really be a good thing to do, but my children just don’t know enough vocabulary. And teacher after teacher reference the fact that their children didn’t know enough vocabulary and the data collection was transpiring exactly as the word gap was really hitting the media in 2014, with the White House event, et cetera, and on the top of everyone’s tongue was the Word Gap or the lack of vocabulary and how that prevented them from having better curriculum experience. And what Jen Adair so well says is there was nothing different about the children and the other classrooms. They just had teachers who believed that this agentic approach would work and they allowed it to work around them. So I think that takes me to where I think probably the biggest thing that we need to do is to empower our teachers both through….I mean we have spent a lifetime in the school of education teaching pre-service teachers and also through professional development, our inservice teachers, to empower them to use the best pedagogical practices and to not make assumptions about children based on the vocabulary. Even if tests prove something different and we have to remember that all standardized assessments of vocabulary measure mainstream English. So if a child doesn’t know mainstream English by default, they’re not going to do that as well on the test. It doesn’t mean one of our colleagues, Barbara Rogoff and I’m not, I’m paraphrasing here, said, you know, just because you don’t know something at this point, it doesn’t mean it’s a deficit. It just means that you don’t know it yet. Dr. Sperry: 40:28 So I think being the age I am over, you know, I was in elementary school 50 years ago now and the changes that we have seen that I think have really stemmed largely from the public education system where we’ve become too… we’ve come to accept so much more than 50 years ago. Issues about race issues, about ethnic differences, about, you know, we’re struggling now with issues surrounding gender and gender choice and I think that by empowering our teachers to deal with those issues as my teachers did with issues about race and poverty, I can remember very many of my teachers, you know, specifically I’m addressing those issues and normalizing it. I think the public schools have such a wonderful role in terms of normalizing these differences and helping young children to grow up seeing the benefits of everyone. I’d like to add to that. Our particular goal is we feel like we do a very small part of providing information through our narrative studies and now this vocabulary study to curriculum designers, curriculum experts like a close colleague and mentor of mine Anne Haas Dyson who I hope I’m not misquoting her here or misrepresenting her point, but she would say that a successful elementary school curriculum would not only recognize the language strengths of all learners who come to the classroom, but they would explicitly teach those language differences to everyone. Dr. Sperry: 42:06 To make an assumption that we just go to school and we learned mainstream English by default puts people who don’t come to school with mainstream English at a deficit, but it also deprives children who speak mainstream English of knowledge that they might gain through the contrastive of analysis of their language with another dialect or another language and I’m sure we could do a whole nother program on foreign language instruction and the lack of it or the insufficiency of it in the United States compared to other world nations. But I liken this to foreign language instruction. When you have good foreign language instruction, you learned so much about your own language through the contrastive analysis of the two languages and young children are very capable and Anne Haas Dyson has demonstrated this over her lifetime of coming to appreciate language and especially writing is one of Anne’s focuses so much better if they are exposed to different perspectives that come through, you know, diverse children and their home language use. So I think personally where this is going to be solved is in the classroom. As we continue to innovate curricula, we continued to innovate pedagogy and I don’t think it’s going to be settled on our debates with the Brookings Institution. Jen: 44:14 And my first thought when I read that was but who defines what constitutes academic success and to give away the punchline here. The answer is it’s the white teachers, it’s the white administrators. It’s the white companies that…the organizations that developed the standardized tests that run by white people is. It’s the policymakers who are virtually always white and so there will be an episode have been released of this show by the time your episode comes out where I recount a story that’s told by a young African American girl and I tell the whole story and the white teacher basically just didn’t understand it and I’m not going to put a varnish on it. I didn’t understand it either and this became part of a pattern is viewing that girl’s work as defective and she was eventually referred to special education services, but professor John Paul Gee, whose work I’ve come to greatly admire, went on to produce a 14 page analysis of the literary elements of that story and he deemed it an absolute masterpiece. And so it’s not that these children have defective language abilities, it’s that the language abilities that they have aren’t seen and aren’t valued in the school system. So would it not be better to support those children’s learning by presenting information to them in formats that they can understand until they find something to help them bridge that gap to more conventional ways of speaking that they’re going to need to learn in the longer term? Dr. Sperry: 45:43 Most definitely, and I couldn’t agree more and Gee’s work is only the latest in a host of similar reports. I don’t think we have time to go into all of them, but we’ve published a paper in 2012 on the Misrecognition, which is a term from the philosopher or sociologist Bordieu, the misrecognition of abilities and how it’s not that middle class white teachers are being malicious or deliberately adopting a deficit approach; it’s just that when you are. No matter who you are, no matter what your background is, you see the world through that lens and so it is very a difficult task we’re asking our teachers and educators to do by, you know, by scratching their lens and looking through other lenses as well. But you’re exactly right that we need to see those as strengths. Now I’m not certain I’m the best person to discuss exactly how to approach that and the school system; Anne Haas Dyson would be much better at that. Dr. Sperry: 46:47 As I said a little bit earlier. I know that she would approach it at least partially depending, I’m assuming on the amount of diversity by trying to teach some of all the language practices or at least some several of the language practices in the classroom. If there are multiple ones here in the Midwest, we don’t tend to have as many different language practices in the classroom as you do in California…and that sort of teaching. I mentioned earlier how much it adds to even middle class European American children’s perspective on language, but most importantly when your language at home, is being addressed at school and being addressed in a positive manner, perhaps even being taught. It gives those children a sense of value. And it right from the beginning says that you are legitimate as well. Your language use is perfectly complex. It, you know, there are. We discussed in our 2012 paper Misrecognition the 50 or more years of discussion about how the language of lower income or people of color are somehow defective or deficient and the studies that have been shown over and over again, like Professor Gee’s say, no, it’s not. Dr. Sperry: 48:06 These are not somehow missing elements that are standard linguistic elements or something. They are perfectly complex languages as all other languages. They’re just not the language of power. We need to recognize that mainstream English is the language of power, the language of privilege in the classroom and not shy away from that I think because I think we brush that under the rug. In so doing, we again tacitly accept the fact that our middle class white ways are the only way by just not saying no, this is the language of power. They do need to learn this language to be successful and to reach their fullest potential in life. That’s probably not going to change. The language of power has changed historically in other countries, but I don’t see it changing in the near future in the United States, but hat doesn’t mean we have to devalue other dialects or do you value in the case of, say, Latinx children, their Spanish language practices when they come to the classroom and also our work hopefully shed some light on the fact that in some cases those practices like the narrative that professor Gee analyzed are far more complex than what our middle class European American children are doing. Dr. Sperry: 49:20 And so by coming to appreciate that complexity, we will be teaching our middle class, European American children something else that’s very helpful and supportive of their language development as well. So obviously I take issue with the idea that some trajectories are not as desirable as other trajectories from the quote. And as you say, your academic success is very much defined in this country by a middle class and upper class European American standard. That I still think denies the fact that it’s dealing with a language of power and denies the fact that there is power in a language at all. It just makes this tacit assumption that this is what people should learn. Dr. Sperry: 50:18 And that to me, they talk about the language [unintelligible], being ashamed, I mean, that’s the shame is that we ridicule the teaching of another perfectly valid standard dialect simply because it’s not mainstream English. Jen: 50:31 And we may actually be doing our middle class, upper class children a disservice and these children who were, who produced narrative saying “today I went to the zoo and I saw a giraffe and we had lunch and we came home and I took a nap,” Kind of narratives compared to children of the same age who speak these other dialects, who produce these incredibly complex narratives. And so we’re not talking about dumbing things down for, for the poor children, for the African American children. And I think as a parent who has come to make this realization myself, I can’t stress enough how critical that is because I, when I first read those news reports some years ago, I’m thinking why would they teach that in schools? Why don’t they want everybody to speak standard English because it’s better…And it’s just not the case. Yes, it’s the language of power. Yes, poor children need to learn how to use it. But there are incredibly valuable complex ways of speaking that are different from those spoken by the dominant culture. Dr. Sperry: 51:35 Exactly. And I think possibly a very current reference, although I’m not as able to speak about it elaborately, but our European American white children will learn the hip hop culture. They will need to learn that. And they do learn that as they go through school to be current and to participate. And you know, I have often listened to hip hop or two as we used to call it rap and/or spoken word poetry, spoken word poetry, jan’s etc. You know, that’s a skill that is so far from any range of skill that I possess and possibly, you know, if I had been exposed to those types of skills and you know, who knows, you know, what type of benefit would have accrued based on that exposure. Jen: 52:26 You might be a billionaire by now. Dr. Sperry: 52:28 I might be; who knows? Jen: 52:33 So. Okay. So as we wrap up here, I want to kind of pull the strands together a bit and I think most of my listeners are fairly fortunate probably to be relatively financially and socially advantaged and so I just want to make the point here and ensure that we are accurately demonstrating what your research shows and what your beliefs are. And so I think based on what you’ve found, that it’s important for parents to talk with their children and you’re not saying that that’s not important and that we should also support the development of children from less well advantaged families. And I’m wondering what kind of programs and policies should we support in our communities? If some of the ones that are being designed right now are not the kind of ones that might have the effect that we hoped for. Dr. Sperry: 54:37 But that’s still I think an area where some families, you know, don’t have the same access possibly to reading materials or perhaps don’t simply have the time, especially families who are making difficult, having difficulty making ends meet and you know, working multiple jobs, et cetera. But as much as you can incorporate and support reading, you know, that’s such an excellent way for speakers of other dialects to introduce standard English often into their children’s lives. And there are many excellent books that are written in dialect and we highly support reading those too. And you know, that would perhaps allow us to have that contrastive analysis going on at home. I remember one of my own, not going to remember the title now to one of my daughter’s favorite books was actually written in African American Vernacular English, and it was such a marvelous book and I think that you know, just enjoying every minute with your child. Don’t let those mealtimes slip by. There is so much good research that shows still the value of mealtime conversation and asking children what they did with their day, sharing what you did with your day and perhaps I’m overstepping my bounds here, but stay off those cell phones during dinners and talk with your child. Dr. Sperry: 55:59 I get. I’ve yet to go up to someone at a restaurant when they’re sitting there and their children are eating quietly and they’re on the cell phone, but I’ve wanted to. Jen: 56:08 So this is not sort of difficult things to do then. This is not a prescription for “speak X words per day.” It’s enjoy your child. Dr. Sperry: 56:18 Yeah. And you know, as a parent of two 20-somethings, I can only say the time goes very quickly so you know, really enjoy being with your child. Talk with them as much as you can, actively listen to them, provide as many linguistic opportunities as you can for them and in terms of outside programs I would just, I would like to see more programs that really address the diversity of language practices that are all around us and that we come to appreciate them from an early age and come to appreciate them as parents and help them to perhaps put a mirror up to our own language practices and come to come to see what we do at home compared to other people and to appreciate those differences. Jen: 57:06 Alright, and on that note, thank you so much. It’s not often I find someone who is so willing to dig into really difficult issues around class and race and have a frank and forthright conversation about it. So thank you. I’m very grateful for your time. Dr. Sperry: 57:19 Thank you so much. It’s been a true pleasure and I must say I very much enjoyed looking over your notes and the diligence and care of your research. So it’s been a true pleasure of mine. Jen: 57:31 So listeners are seeing behind the scenes now a little bit. So just as a reminder, references for today’s show can be found at YourParentingMojo.com/WordGap.